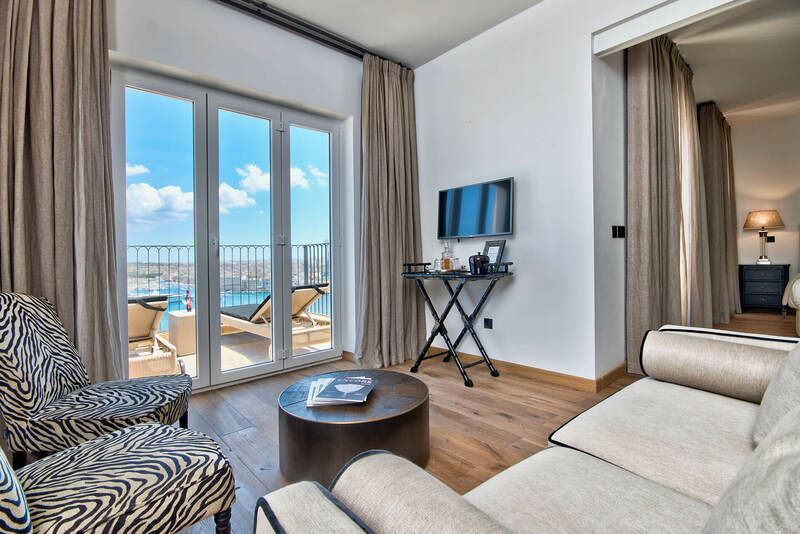 The Penthouse Suite located on the 6th floor, is a large and luxurious open plan suite. 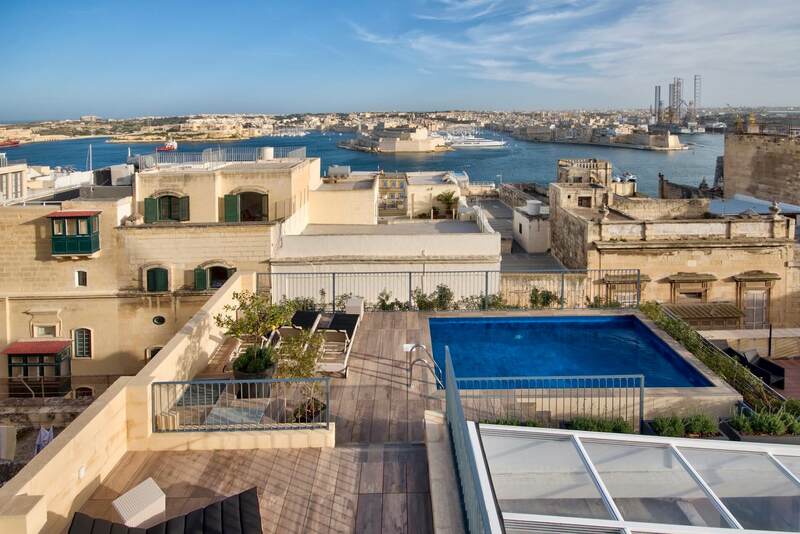 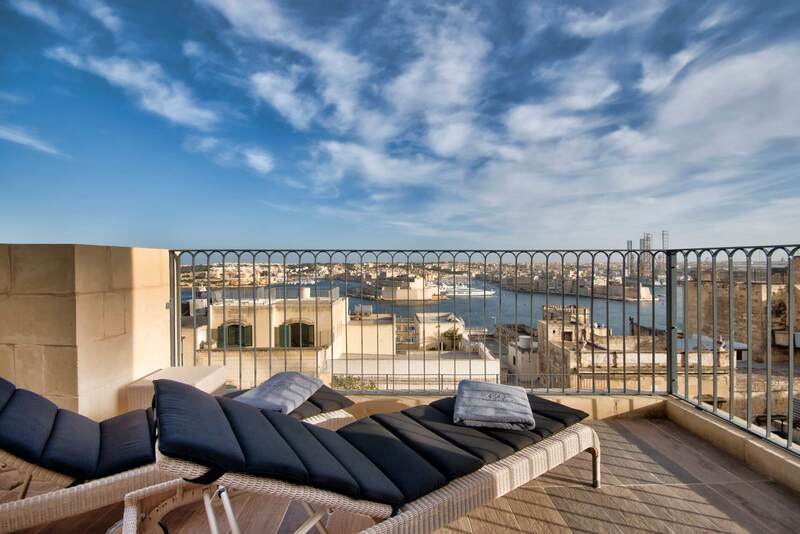 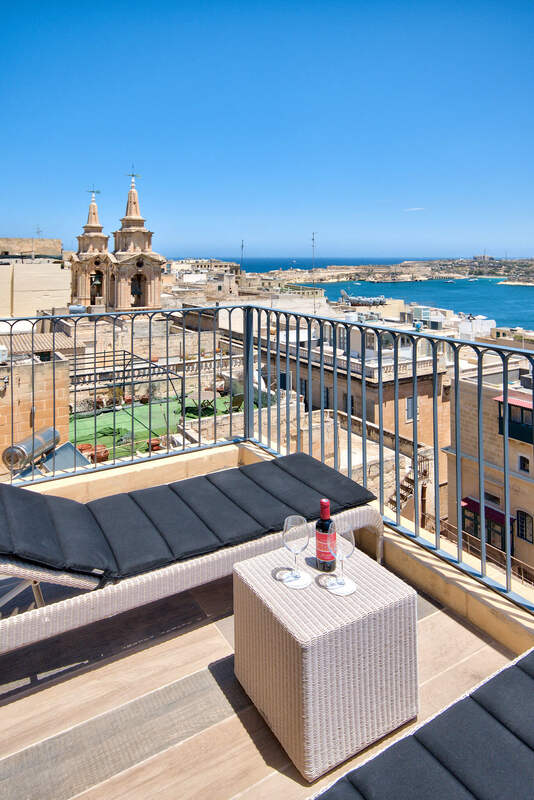 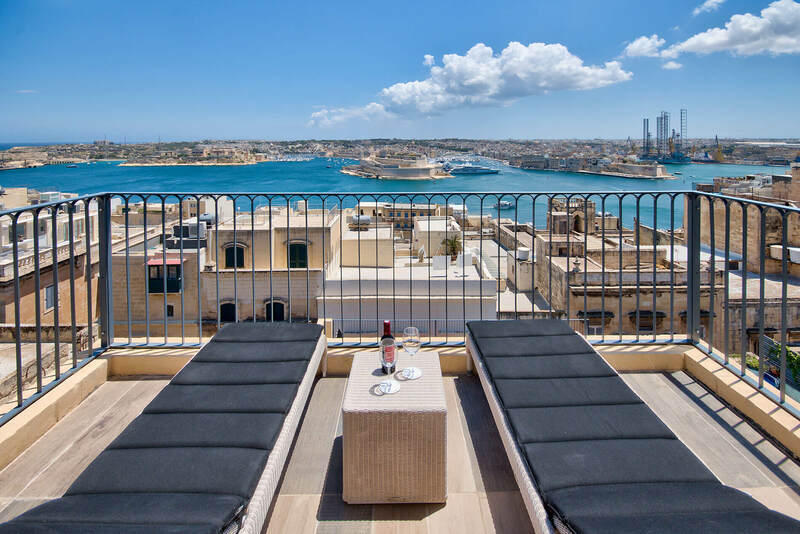 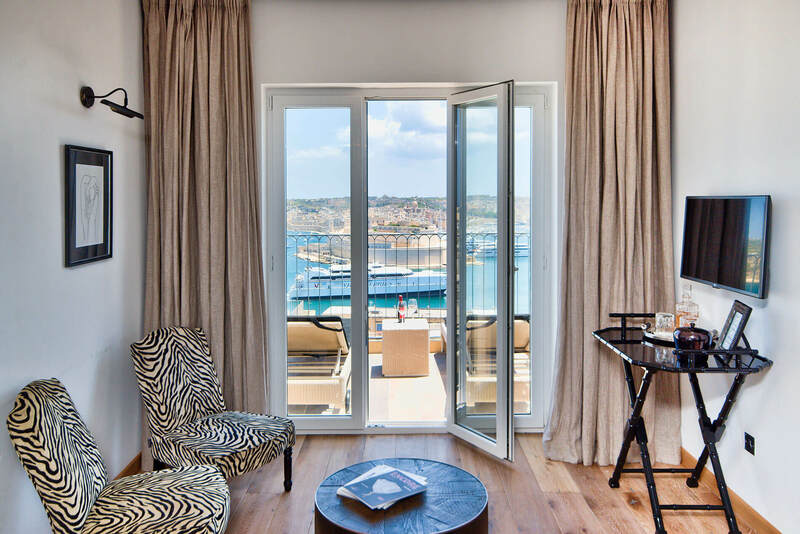 It is exceptionally bright and sunny with amazing panoramic views of the Mediterranean, the Valletta skyline and the Grand Harbour. 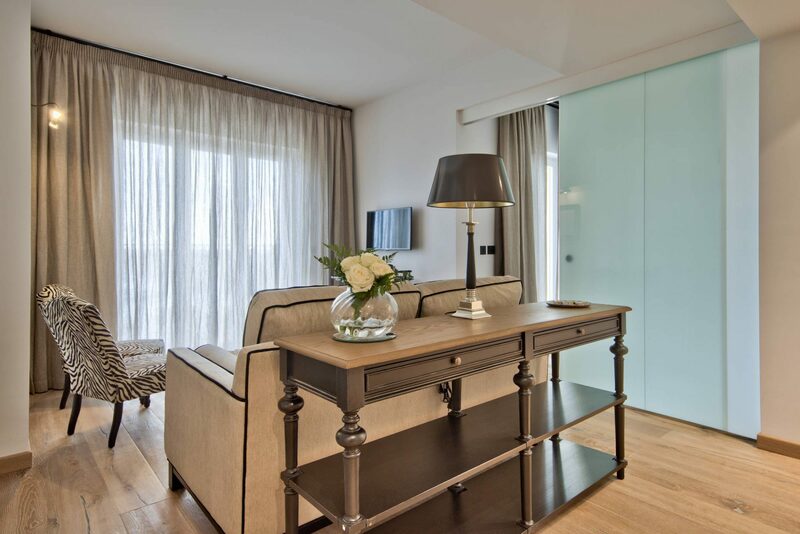 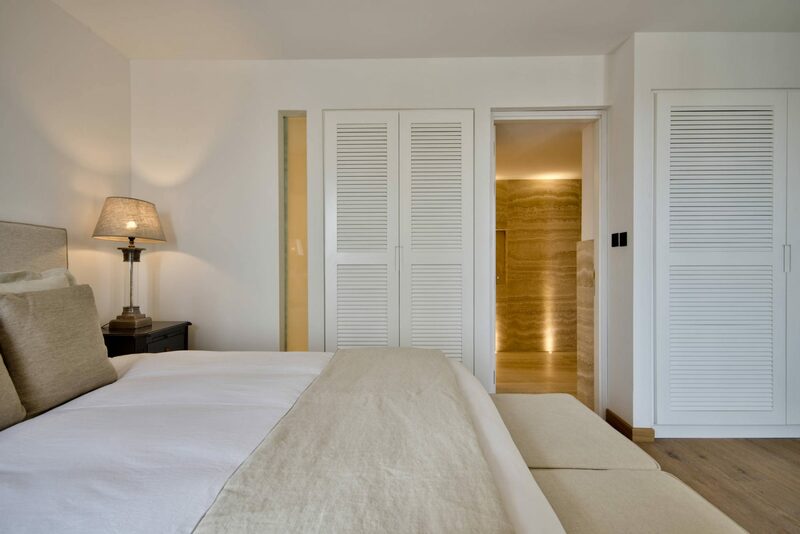 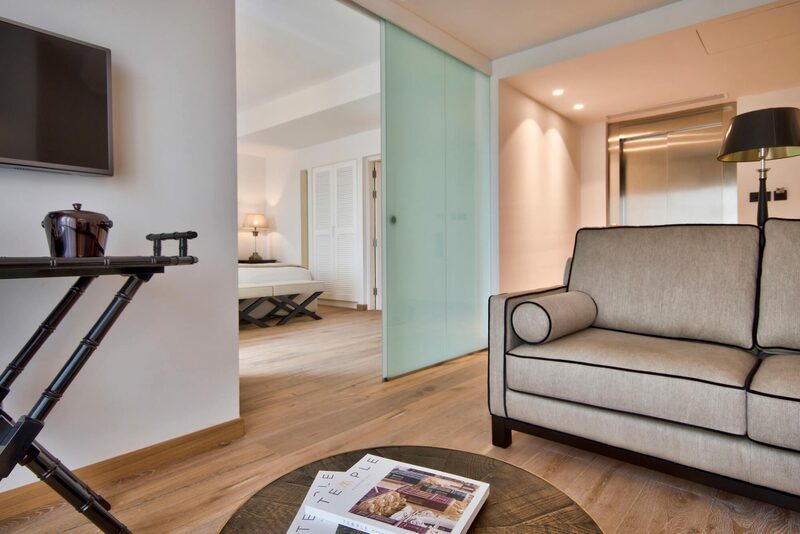 Elegantly furnished with black and neutral tones and wooden parquet floors, this room has separate sleeping and living areas and a private sun terrace and Juliet balconies. 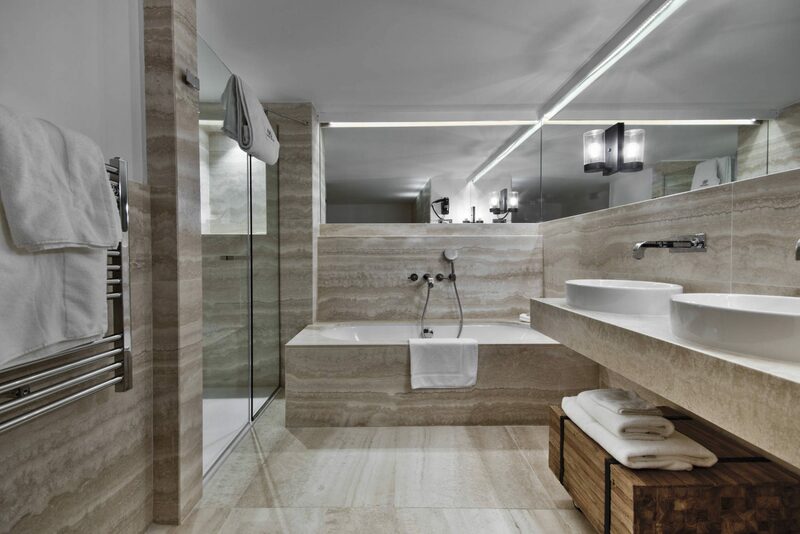 The spacious bathroom is beautifully designed in travertine with his and hers basins, walk in shower and bath tub.